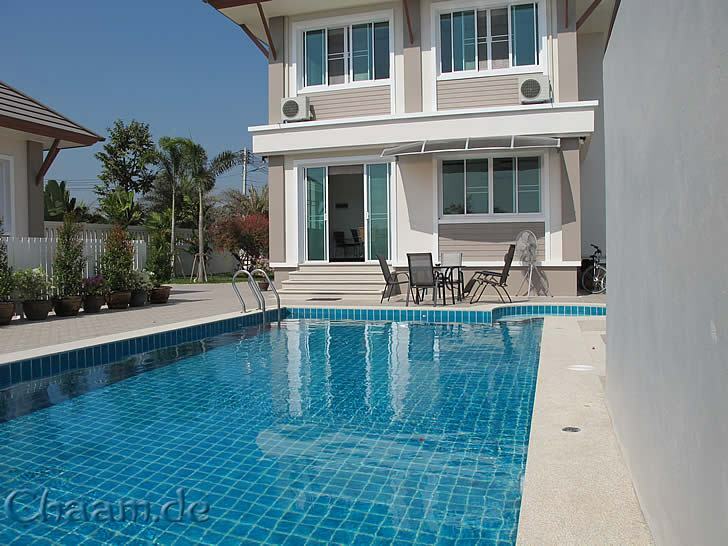 In this noble pool villa no desire comes too short! 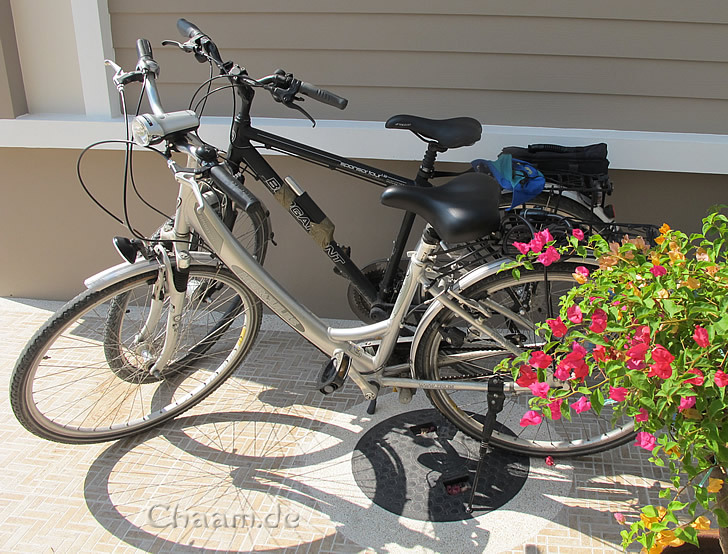 The central location and the short distance to the beach makes you independent of motorized vehicles. 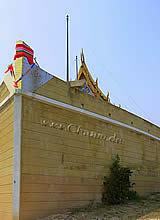 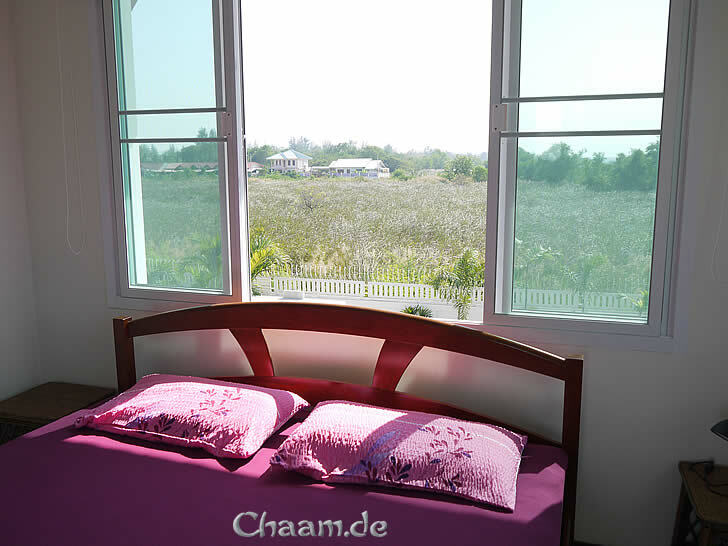 Discover Cha-Am on foot or by bicycle. 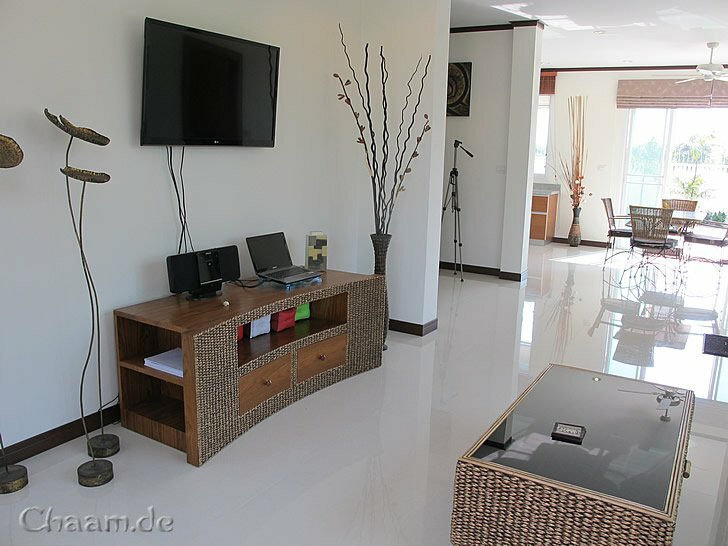 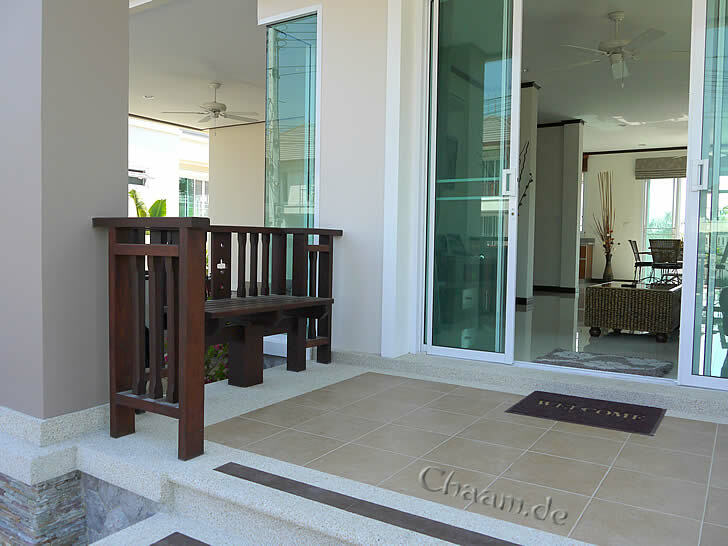 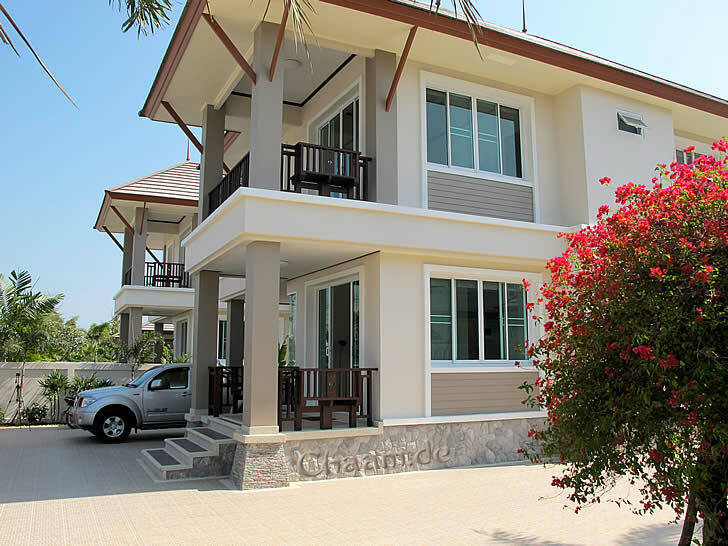 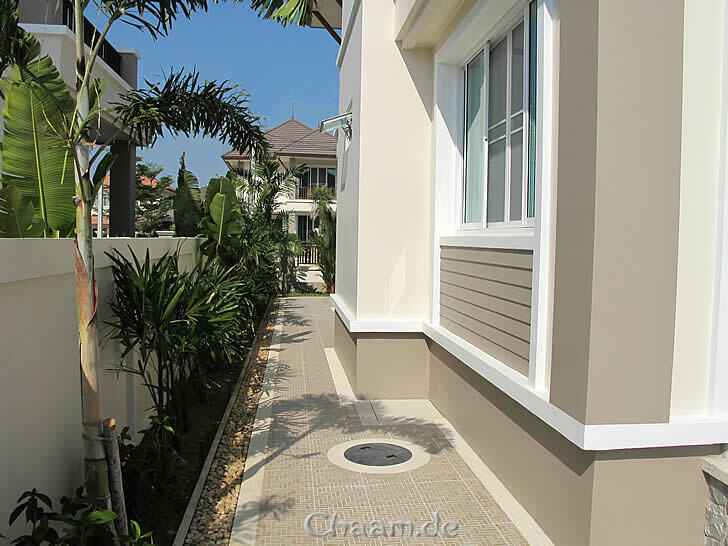 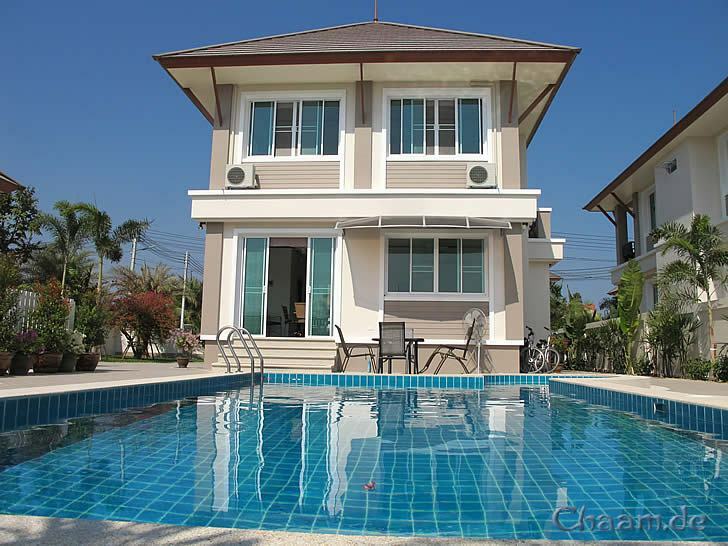 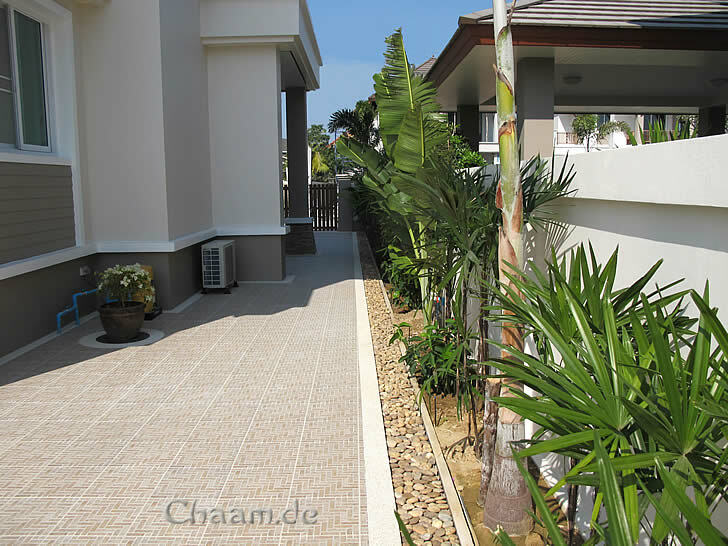 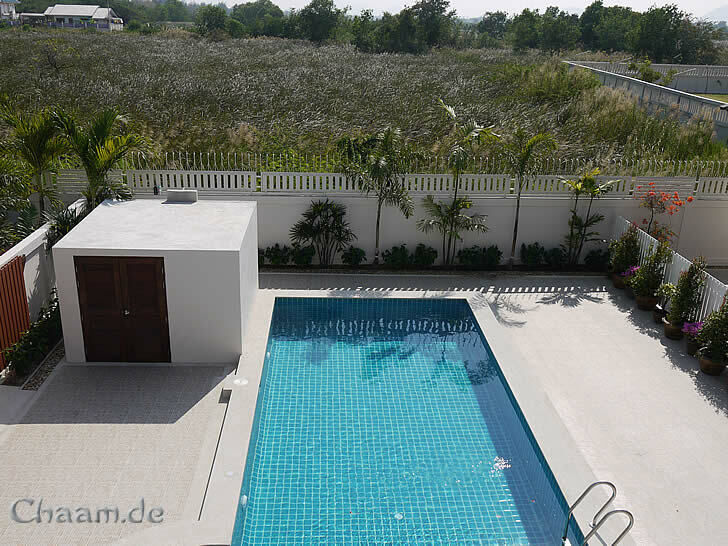 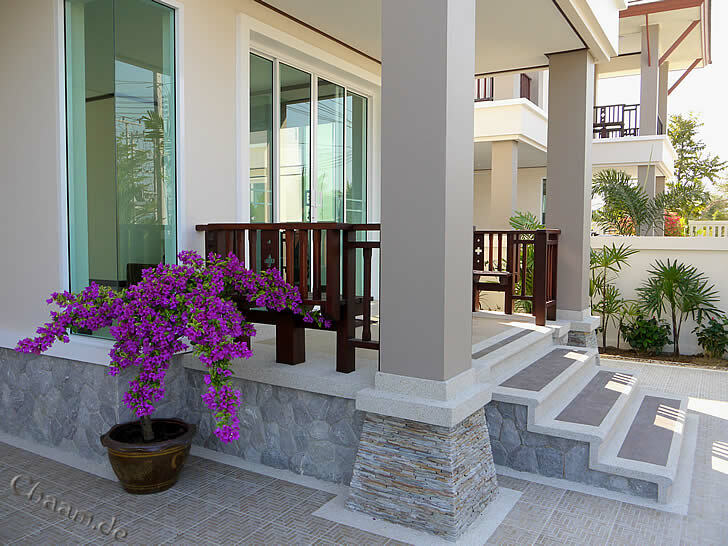 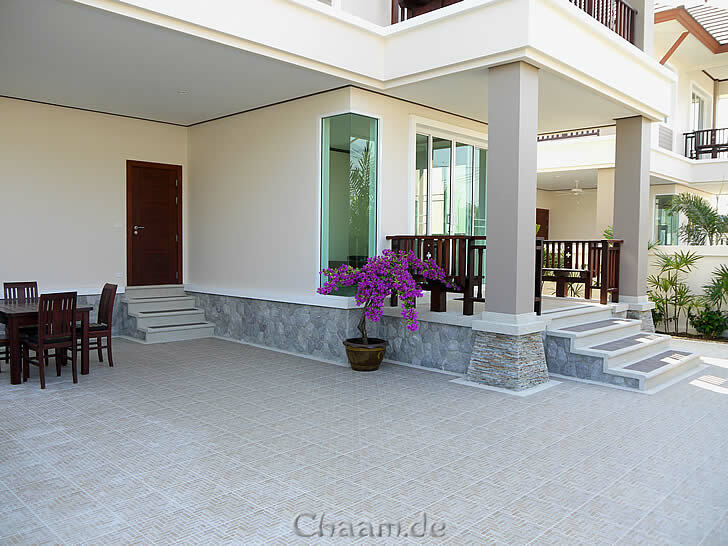 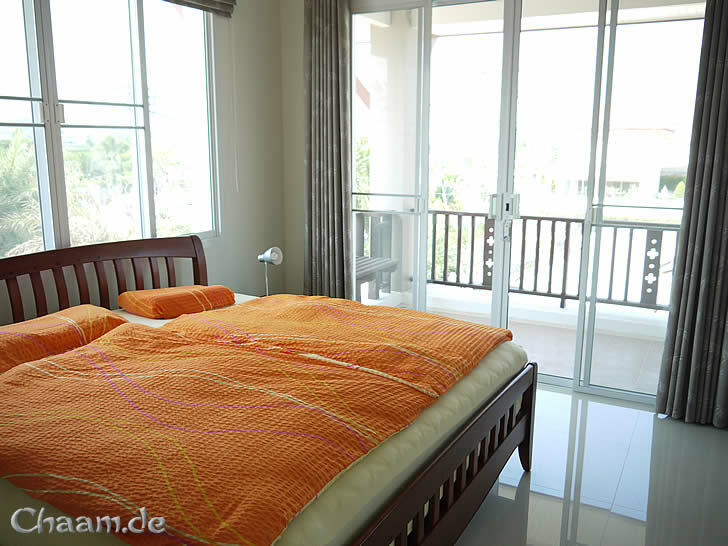 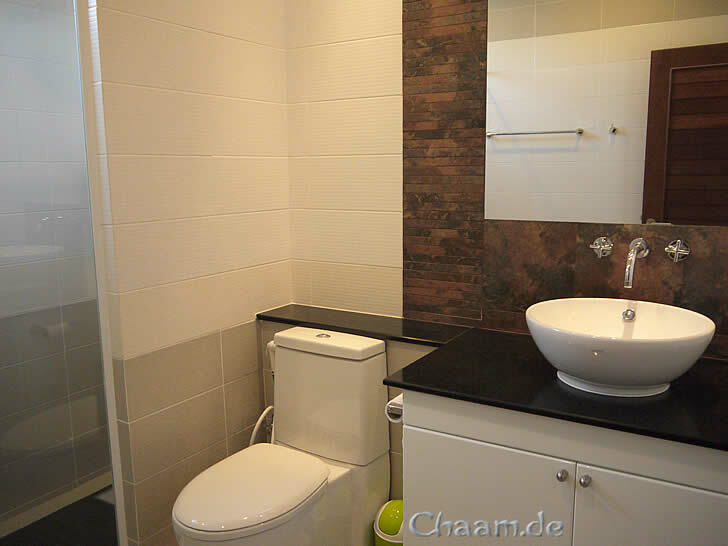 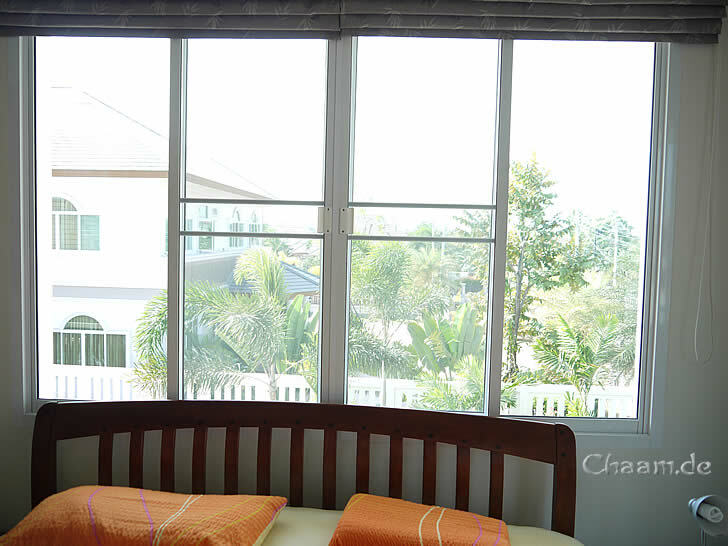 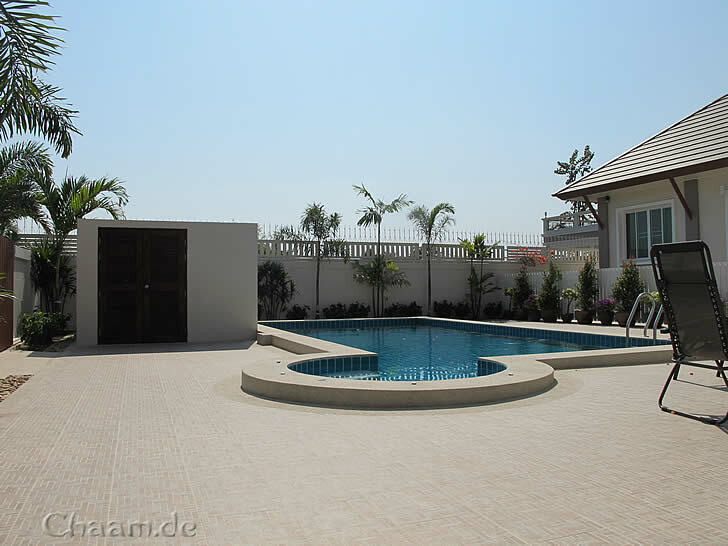 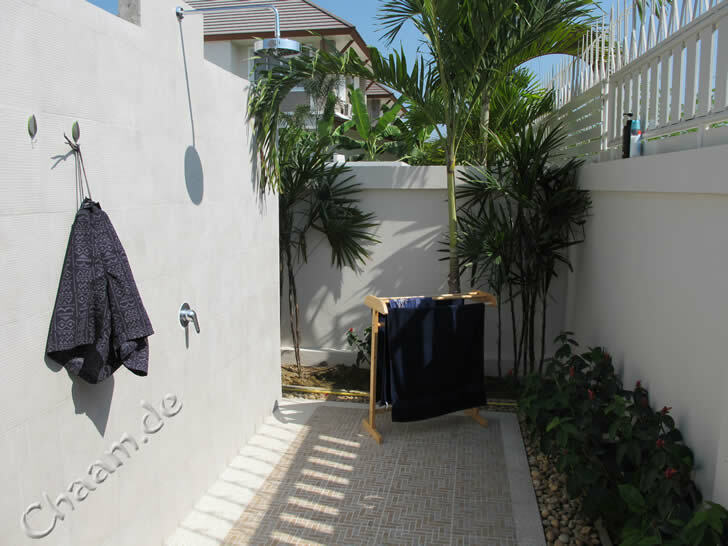 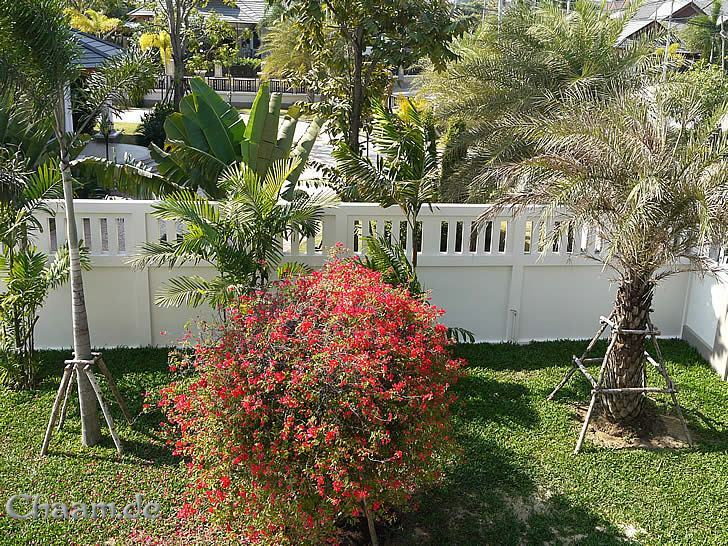 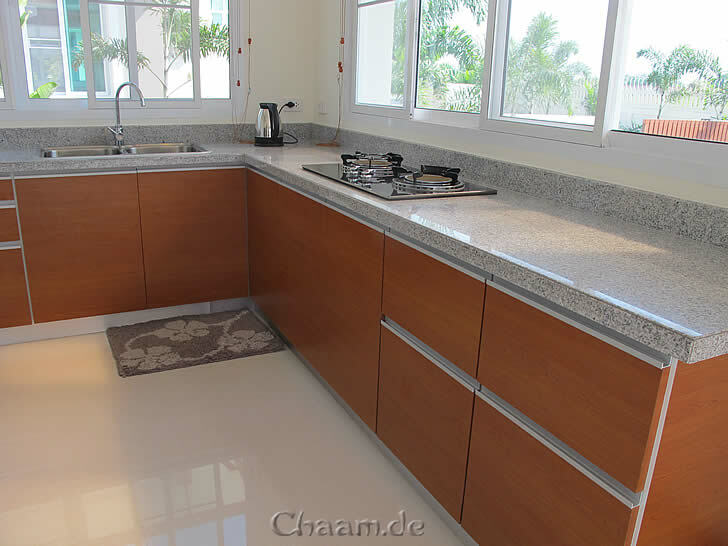 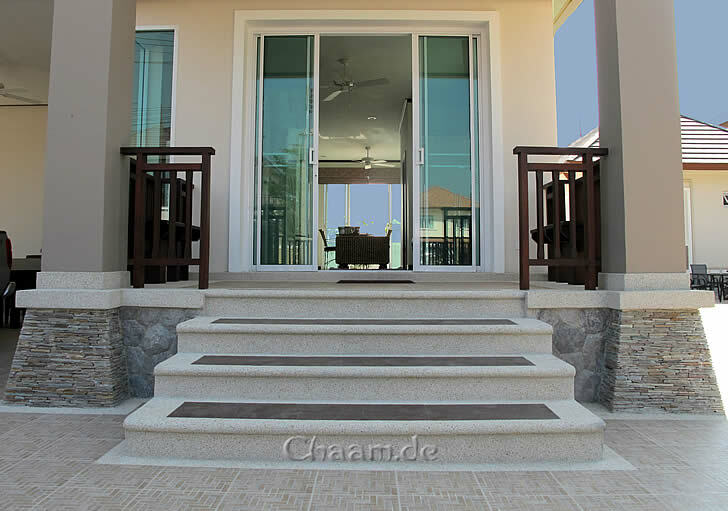 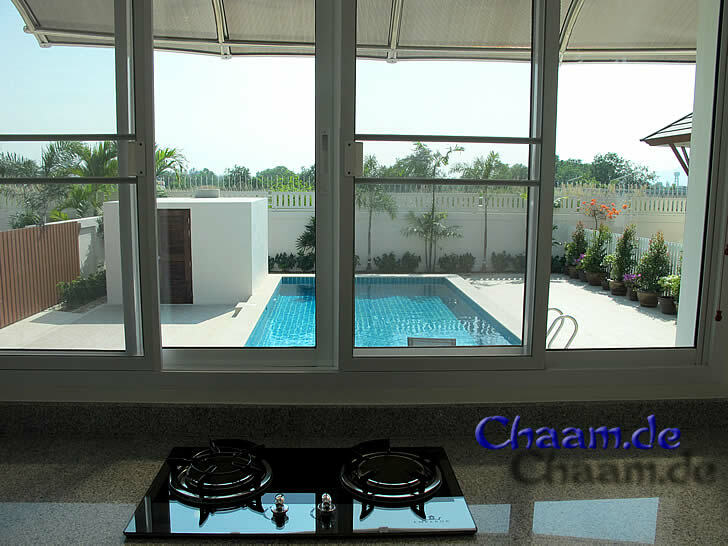 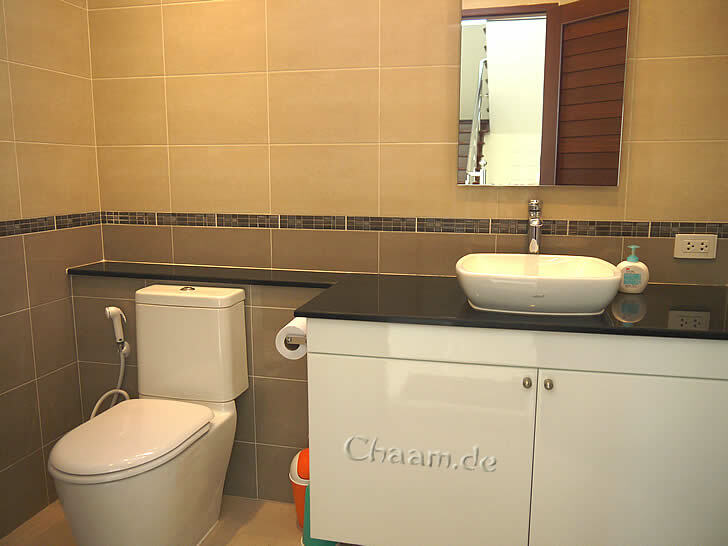 The 2013 newly constructed luxury resort Banusabai developed within a very short time to one of the most popular places for higher quality of living in Cha-Am. 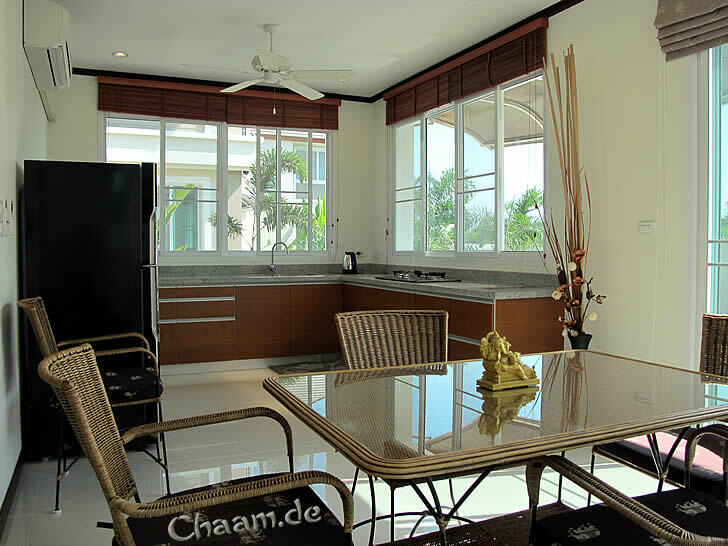 We offer two identically constructed and identically equipped luxury pool villas. 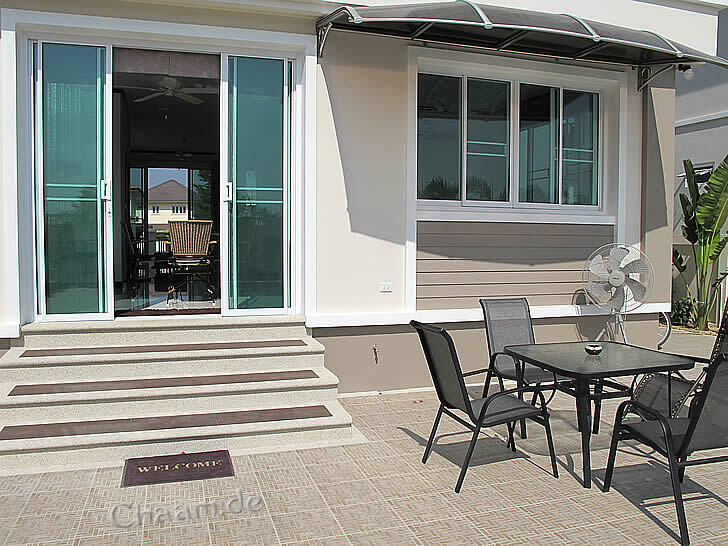 The 170 square meters villas are built in European quality and Asian design, equipped with modern technology, stylish real leather sofa, cozy rattan furnishings to rest and relax. 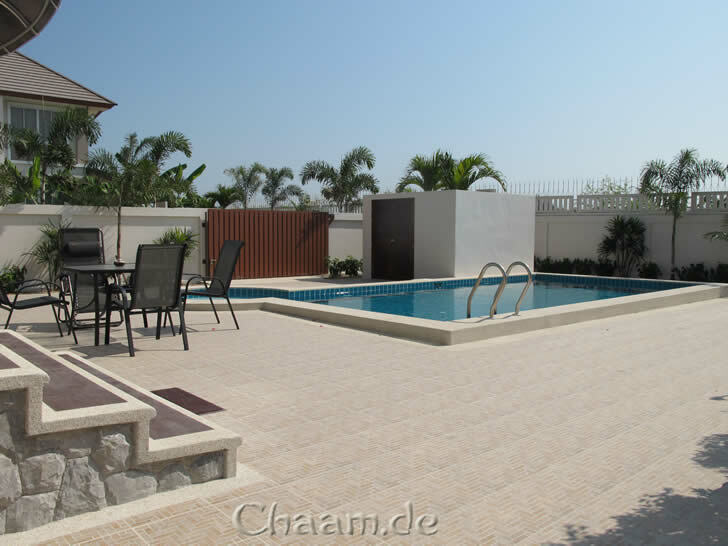 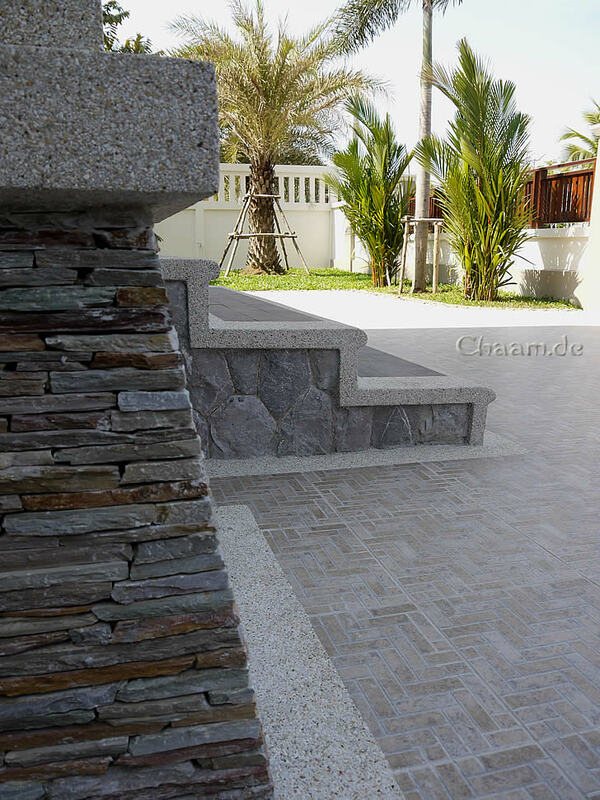 On the large grounds you can enjoy barbecues in the evening, jump with your dear ones in the pool or sit with your loved one at night in the Jacuzzi! 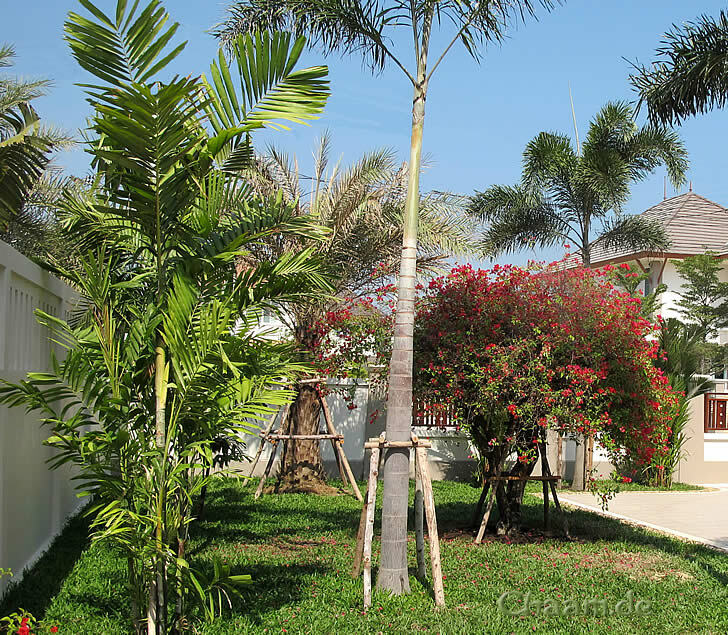 The quiet location of the villa allows you a peaceful and relaxing holiday. 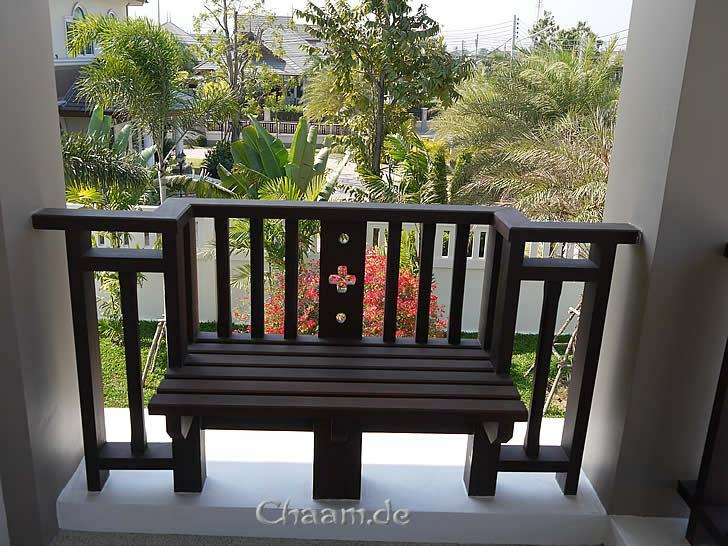 Shops, Asian soup kitchens and restaurants are within a few hundred meters, so you are not depend on a car, you can use your bike, which we have available for free. 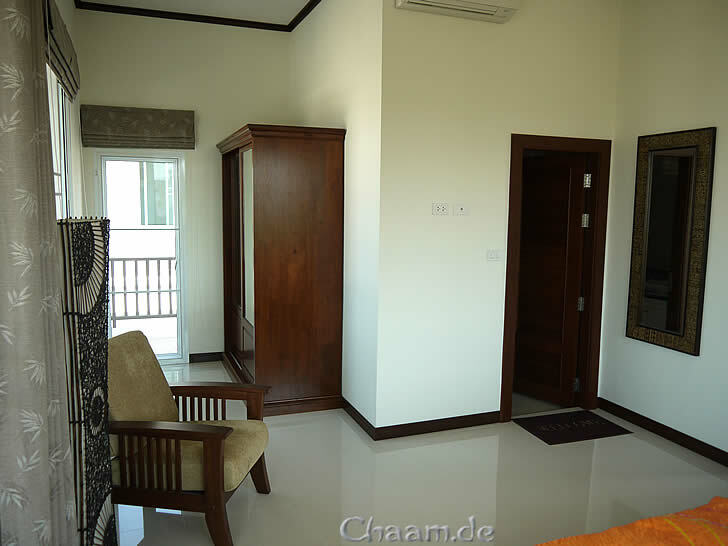 The master bedroom has a separate bathroom with a walk in shower. 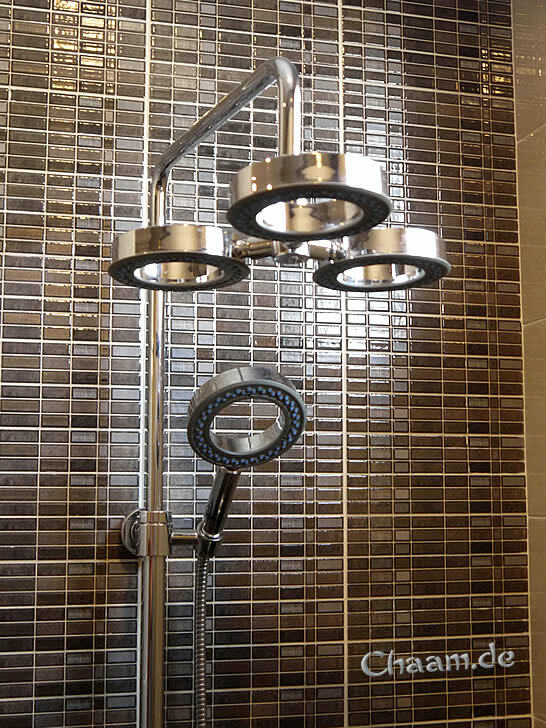 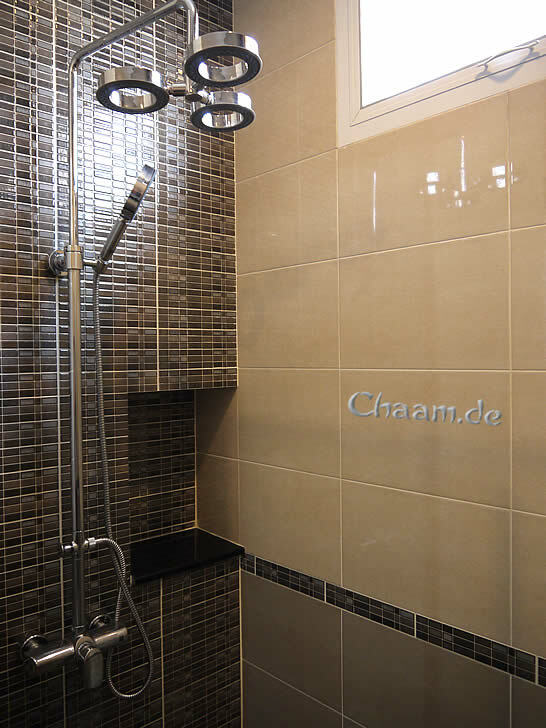 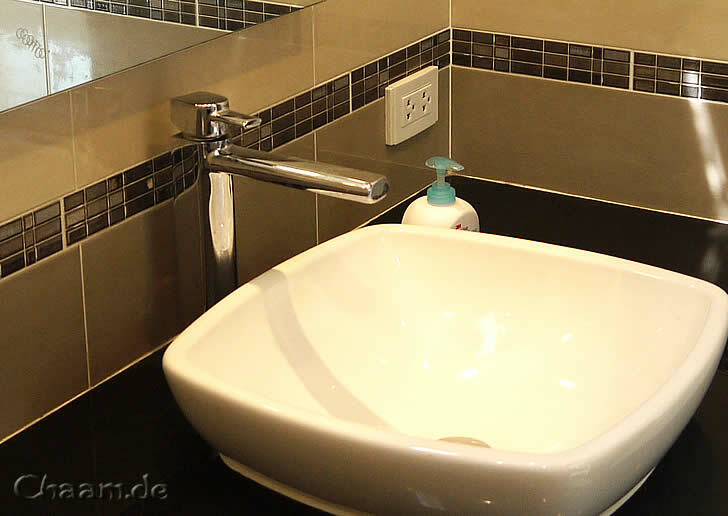 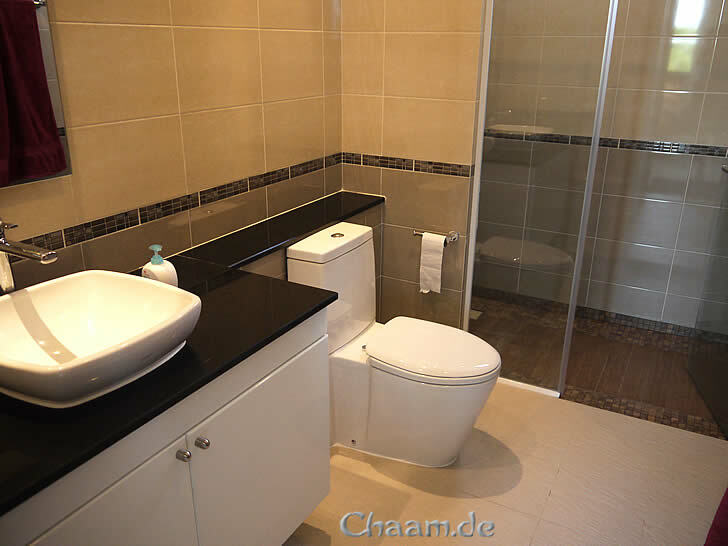 The other two bedrooms have a shared bathroom, also with a large walk-in shower. 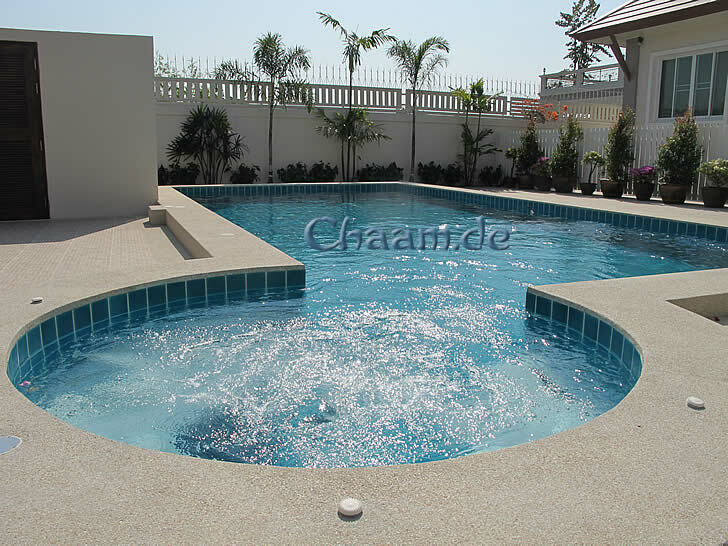 Especially children will have your fun in the great pool. 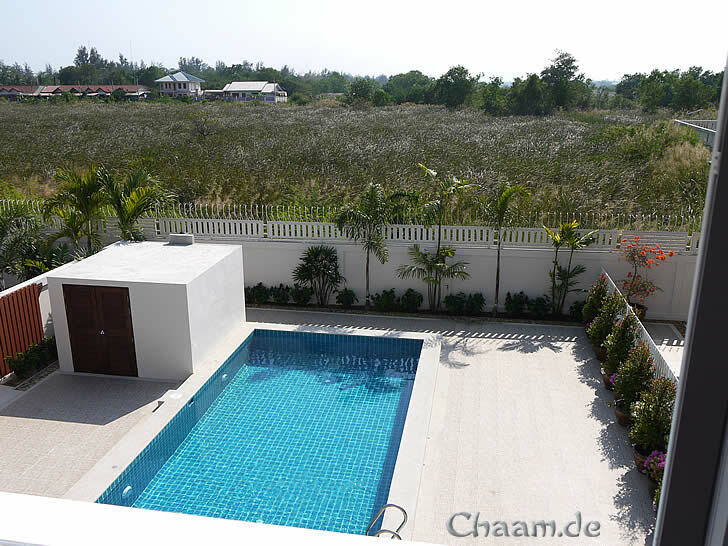 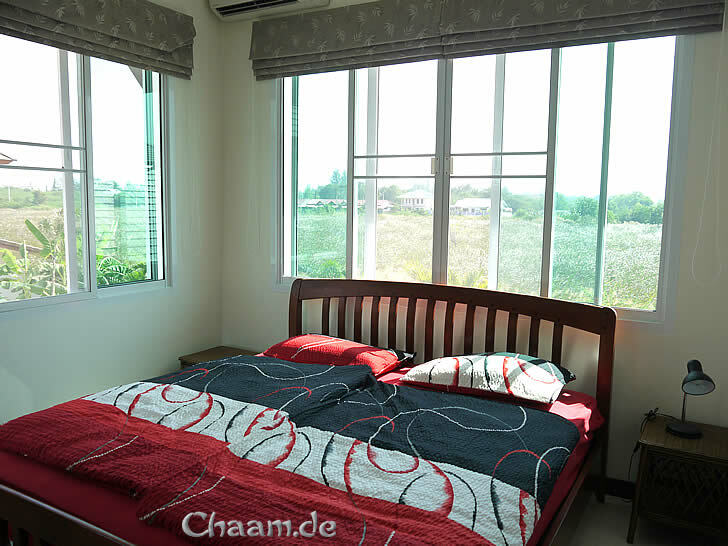 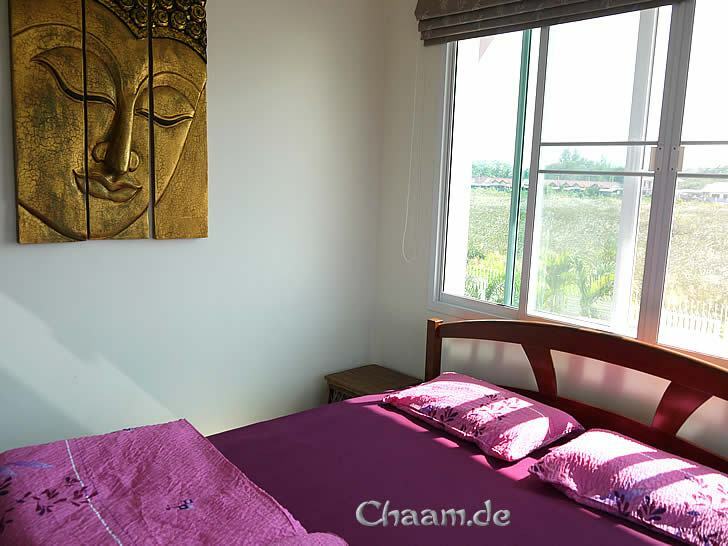 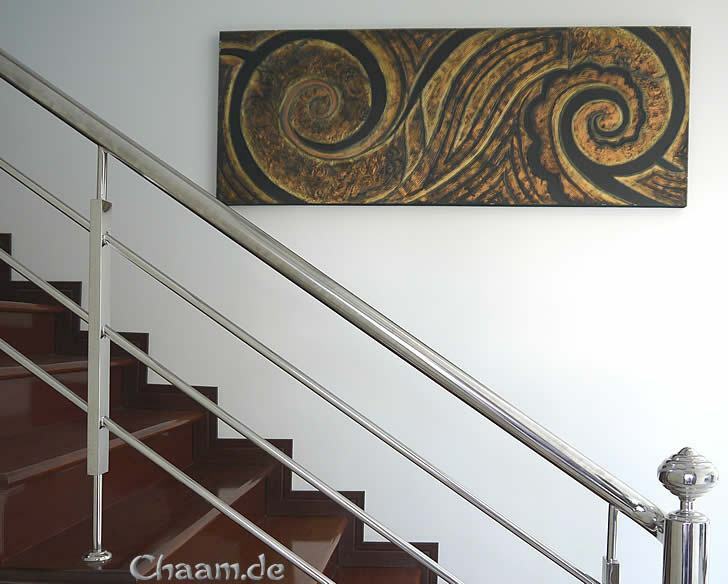 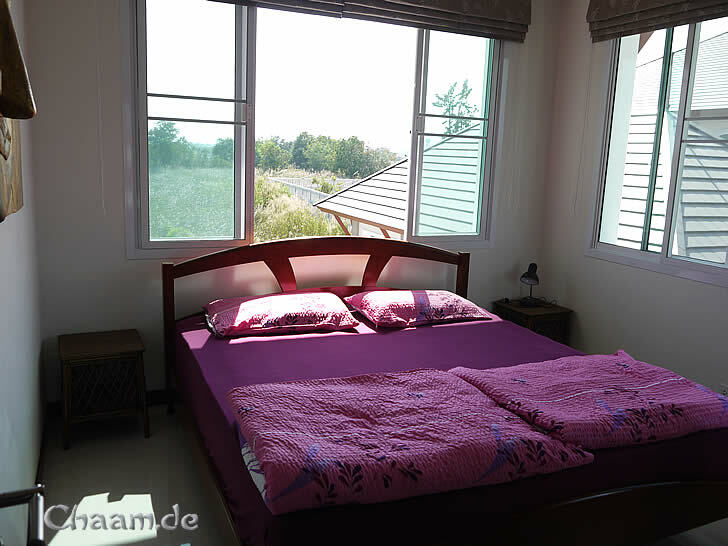 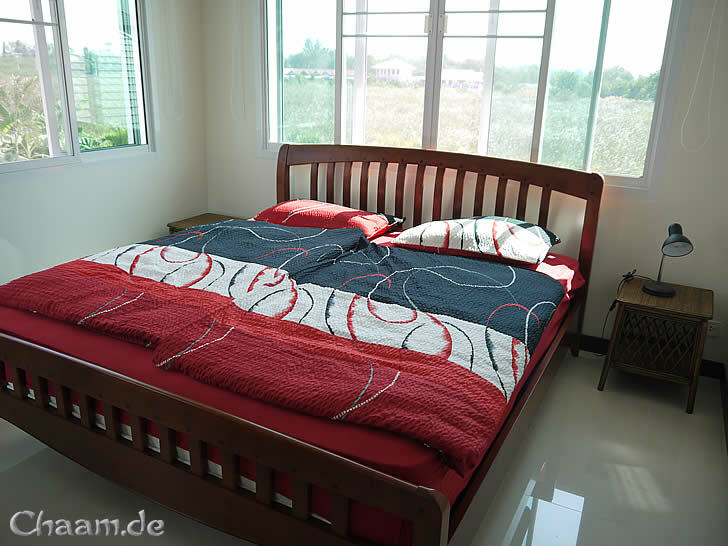 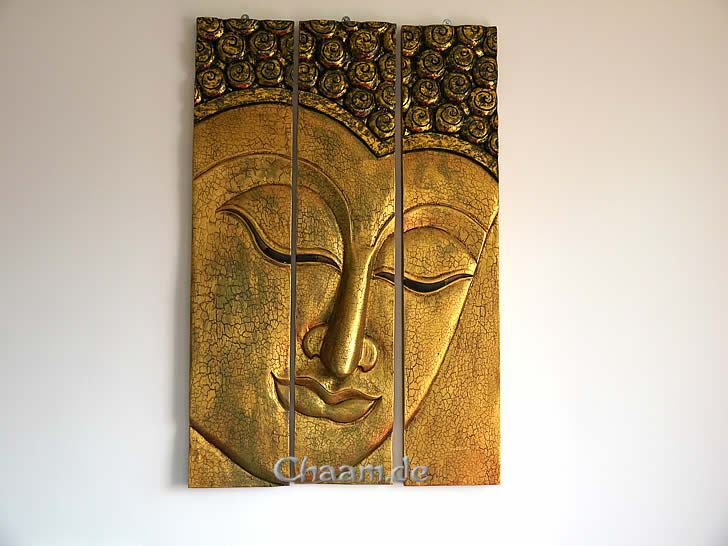 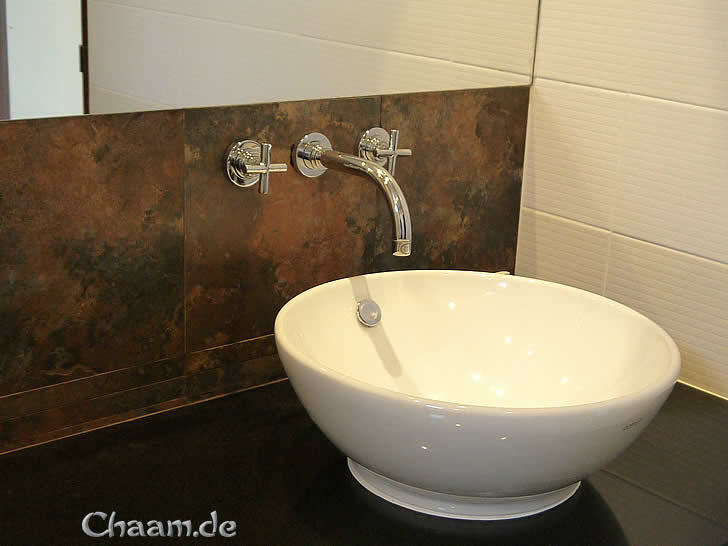 Please compare our price with 3 star hotels in Cha-am, and you will be amazed at how affordable luxury can be! 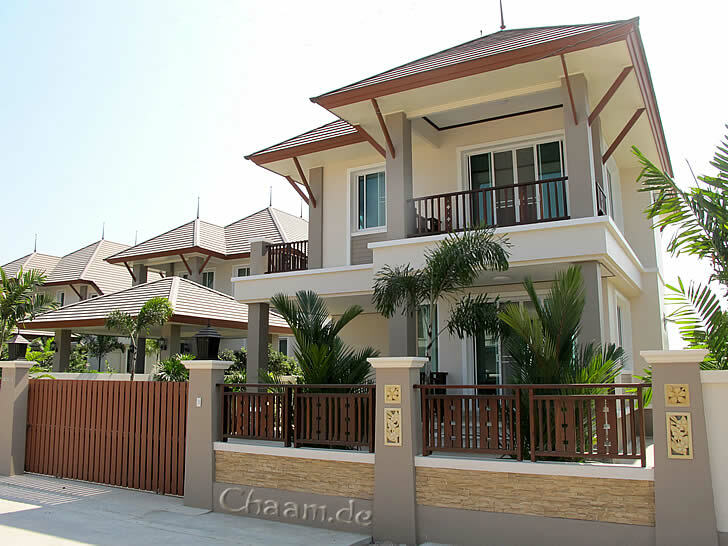 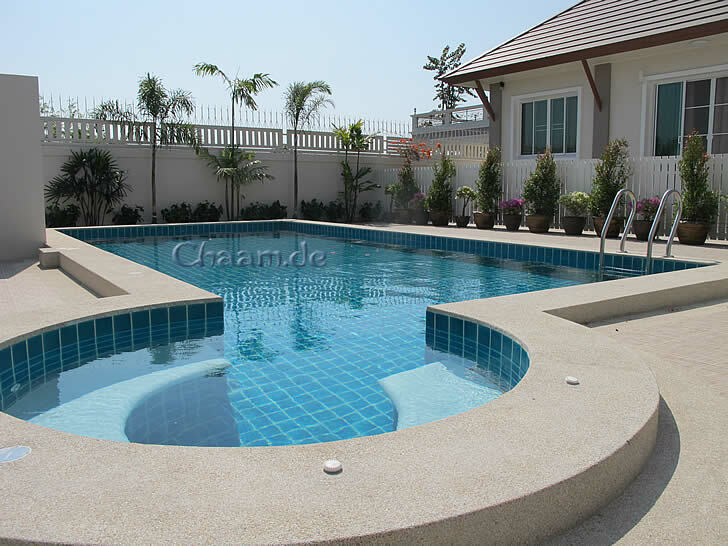 These villas are offered directly by the owner, so no charges of travel companies or employment agencies take place. 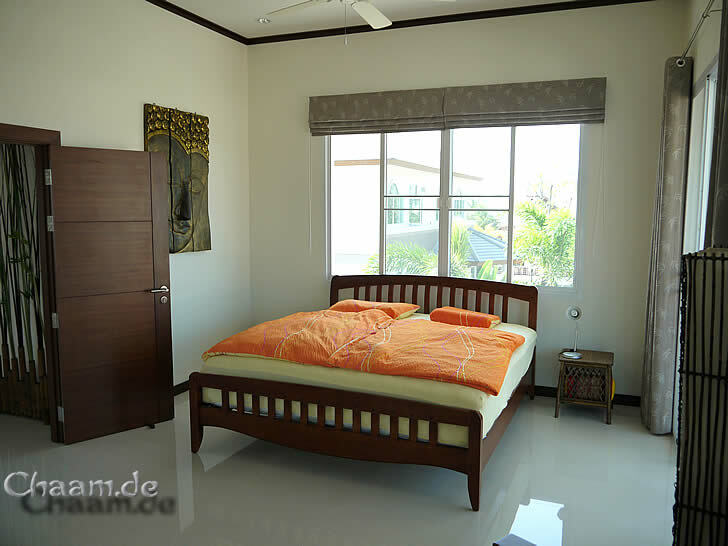 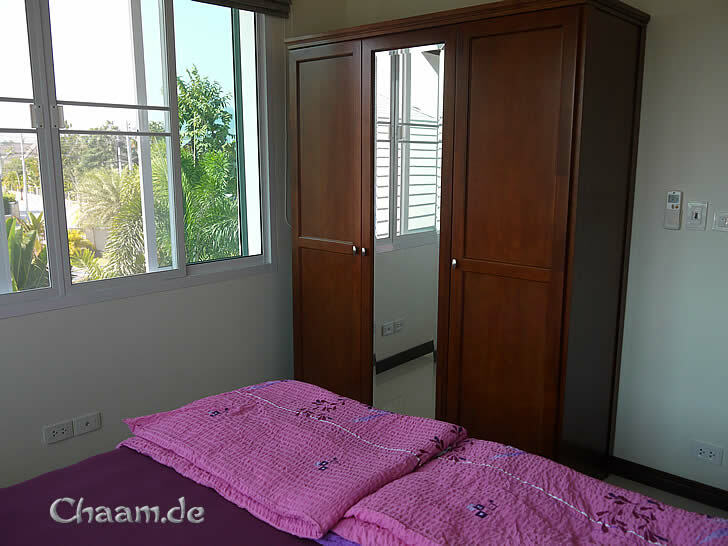 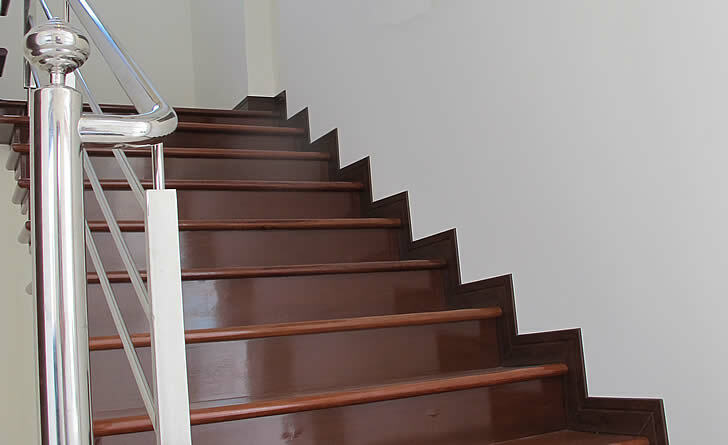 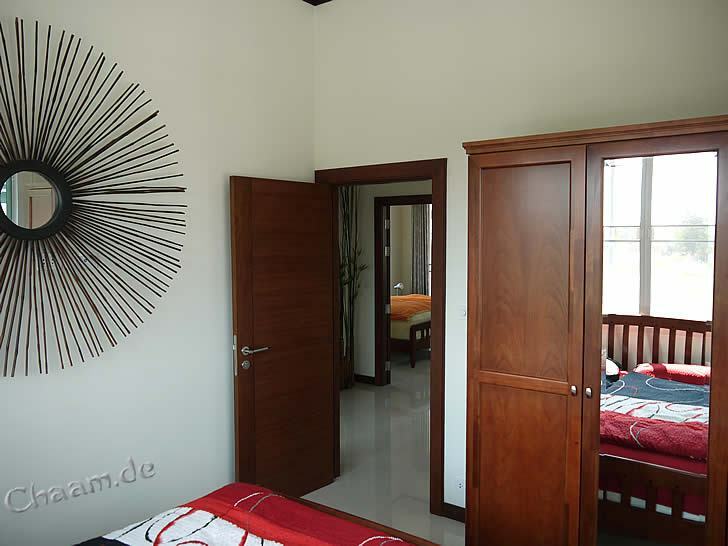 Take time and look at the individual rooms of the villa and browse through the photo gallery. 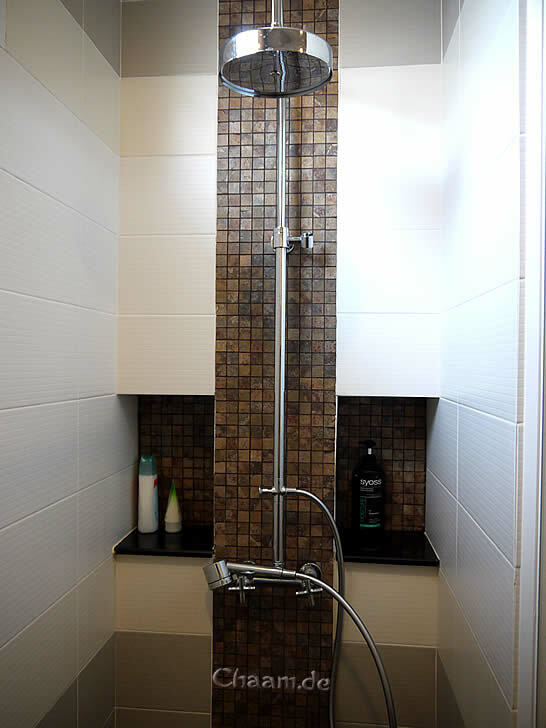 If you wish to see a picture full size, just click on the picture. 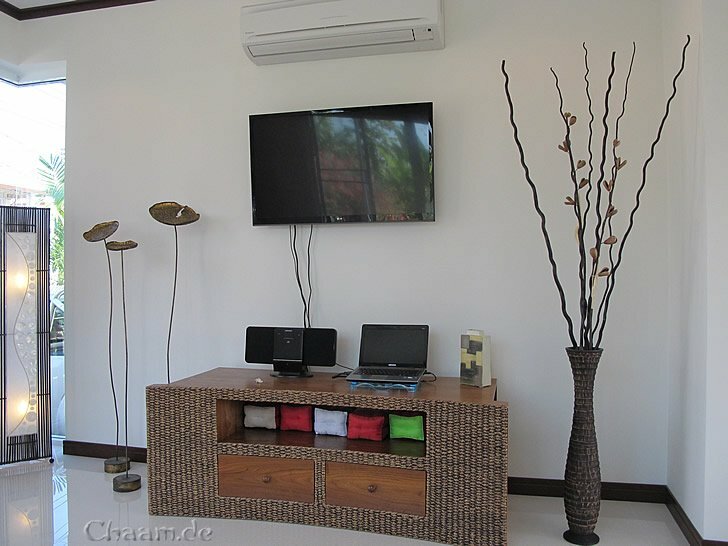 For rentals less then one month please contact us! 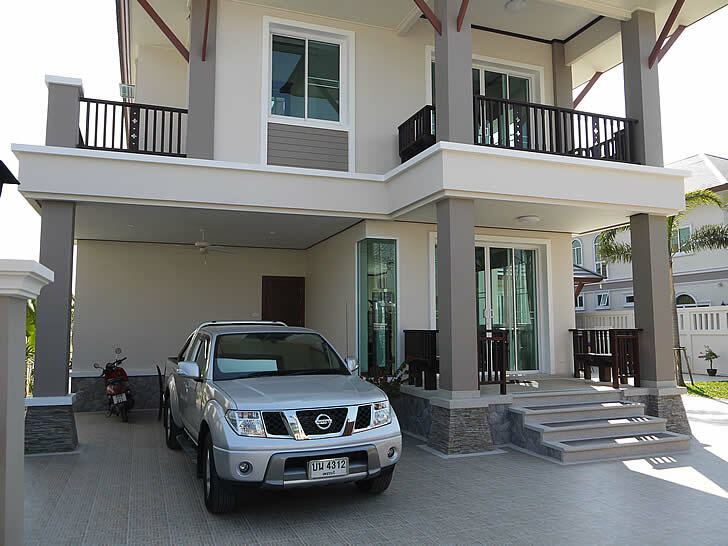 25% of the rental price must be paid in advance to the Thai owner, the rest is paid after the rental period directly to the owner. 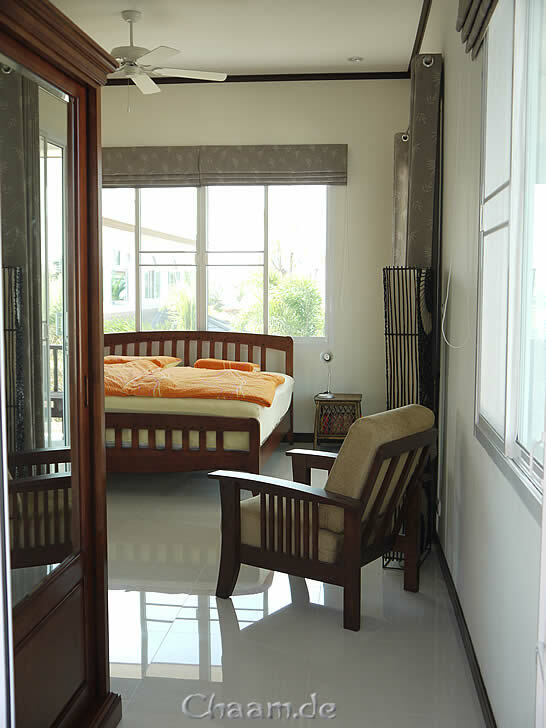 For long-term rent the rent, electricity and water is paid monthly to the owner. 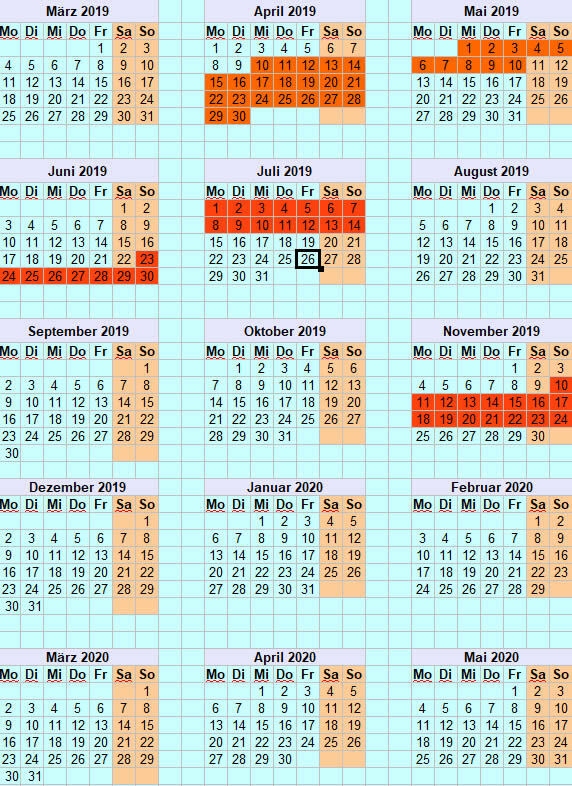 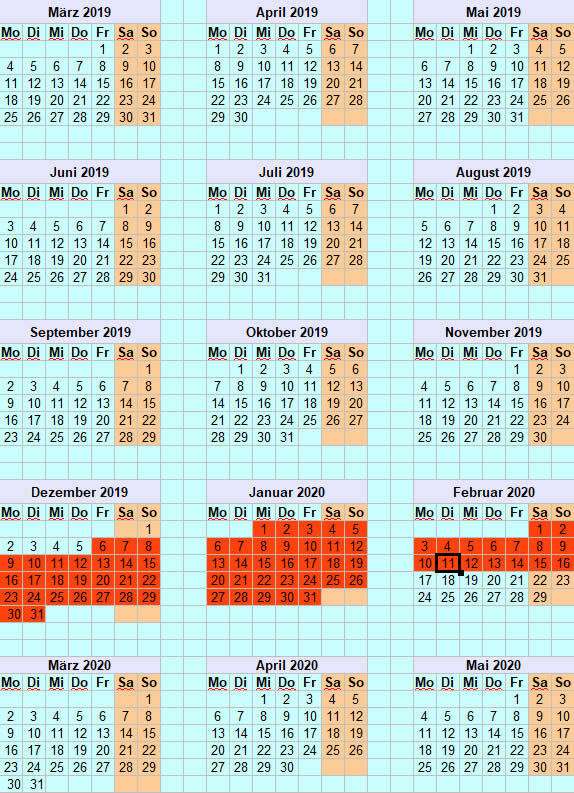 Write us your data (name, how to reach you) and the desired time period.